Motor coach bus charter at its finest. If you are managing an event for 2,000 attendees or a small group of VIP's, you can trust us to deliver top quality bus rental. Casino's, Attractions, Fun Tours! We are the one to call for a great time. Current Special is the $50 Bingo Bus. Win $50 on the way up to a casino! PER SEAT PRICING AVAILABLE! Charter bus rental and black car service for social events are expected to be provided by the hosts today. We serve all the local wineries and breweries, quality venues and concert halls. You can rely on us to provide a hassle-free experience for your guests. 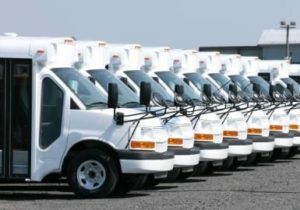 With a multitude of fleet choices you can always find a perfect fit for your group. We serve over 1,000 events a year reliably. No matter where you are going, you have been relying on us for Fun Tours in Hampton Roads and Beyond! Our seasoned bus captains respond promptly and efficiently with reliable bus transportation.